3D Laser engraved crystal tennis theme and ball, crystal 3D block mounted onto a heavy black base. Available in 2 sizes, 90mm and 100mm high solid crystal. 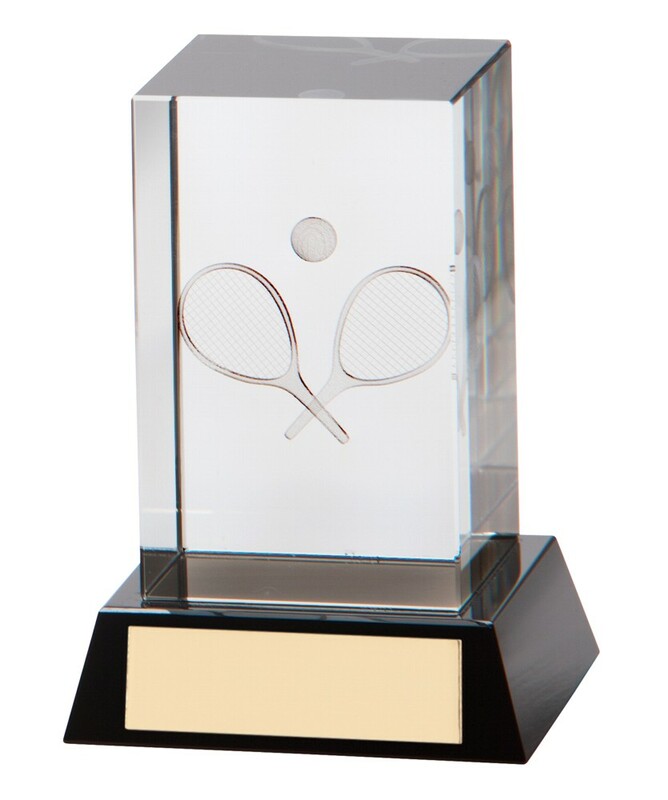 A great unique Tennis trophy. Complete with a free engraved plate and in a presentation box.